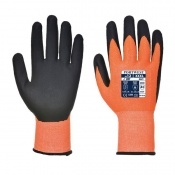 With the maximum cut resistance score, the Portwest High Dexterity HPPE Waterproof Gloves AP52 provide outstanding grip and high performance in dry, wet and oily conditions. 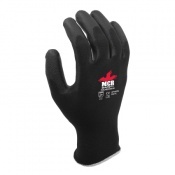 This makes them highly versatile, and with a comfortable 13 gauge liner they ensure long-lasting comfort that protects hands during extended use. 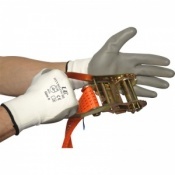 As their flexible HPPE liner provides exceptional dexterity, the Portwest Waterproof Gloves are highly suitable in tactile environments. 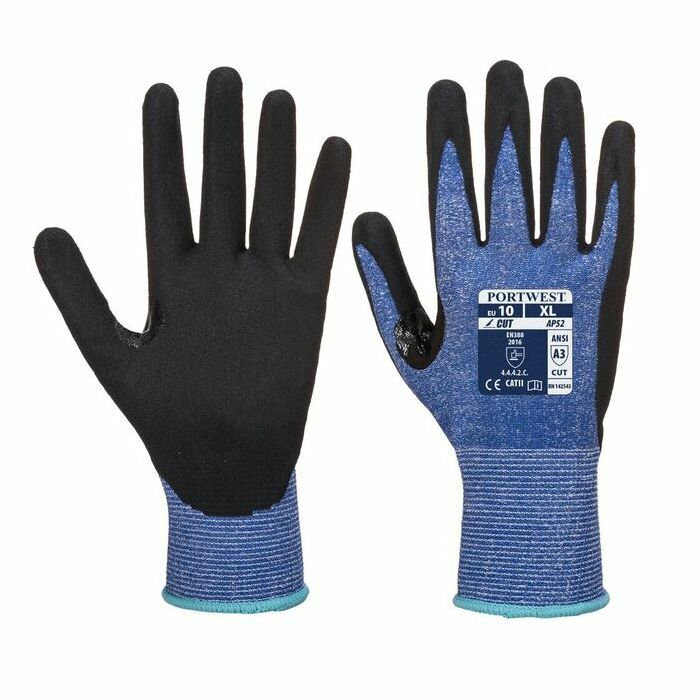 This is enhanced by their sandy nitrile coating as this protects against not just small, sharp components, but liquid, grease and oils too. The Portwest AP52 Gloves are available in five sizes that should be suitable for most users. To find your perfect pair, please measure the circumference and length of your palm and match the results to the table below.